attributed to Saint Bernard of Clairvaux, translated by H. Baker. Begin with an act of adoration of the Sacred Heart of Jesus. Why wouldn’t Thomas believe that the other disciples had seen the Lord? We can guess at the reasons. Earlier, Thomas had proposed going to die with Jesus, (see John 11:16). But his heart and his hopes must have been cruelly crushed by the crucifixion. Like the other disciples, he couldn’t imagine the possibility of the resurrection. 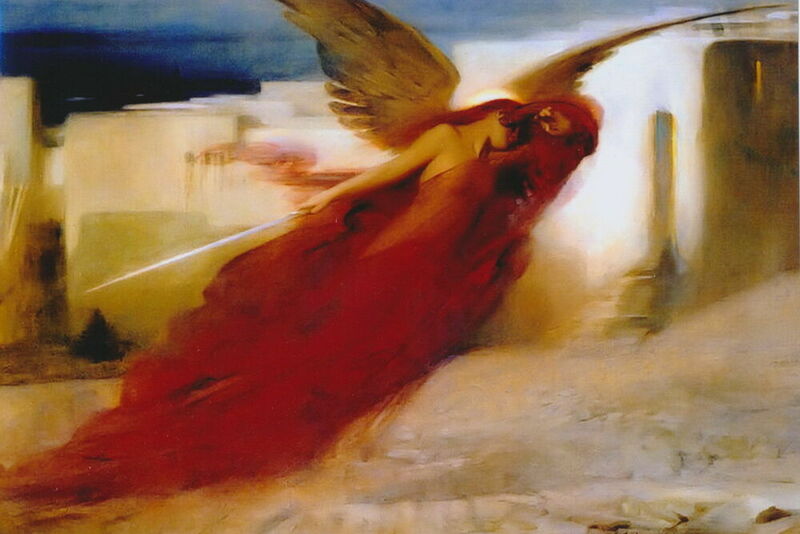 (The other apostles didn’t believe Mary Magdalene when she told them she had seen the Risen Lord.) Perhaps Thomas had been so devastated by the passion and death of Jesus that he simply pushed away everyone he was close to; he was afraid to hope, to feel anything at all. After reading the scripture and reflection, bring your wounds – physical, emotional, and spiritual – to Jesus. Whatever his reasons, Thomas stood in the ruins of shattered hopes and demolished faith – as many of us have. We can find hope and healing when we respond to Christ’s invitation to enter into his wounds, contemplate his love, and allow that love to be our defense, our healing, our hope. Pray for the gift of God’s healing love with the words of Psalm 103:1-13. The Gospel of John does not tell us if Thomas actually probed the wounds with his fingertips. Perhaps it was enough for Thomas to see Jesus. But Jesus invites us to enter into his wounds, take refuge in them, contemplate them, even hide in them. Why would we need to hide, and what are we hiding from? We might need to take refuge in the wounds of Jesus simply because we are weak and do not feel ready for the difficulties confronting us. “Hiding” in Christ gives us the space and strength to honestly acknowledge our weaknesses in the safety of God’s love. “Hiding” in Jesus gives him the opportunity to begin healing the deep roots of sin in us. Jesus may heal us quickly or gradually, but if we give him the space to work within us, he can transform our weaknesses into doorways for his grace. “Hiding” can give us a break from the crazy pressures of the world, with its distorted views, expectations, and lack of faith. In Christ, we can rediscover a perspective of faith. Faith gives priority to what is truly important in our lives – for example, not a better salary, but a more loving family; not more prestige or a higher position, but a more selfless service of others. The perspective that comes when contemplating Christ’s sufferings can help us to see our circumstances with new eyes. If we need to hide because we are suffering or afraid, Christ’s wounds remind us how much he suffered for love of us, and that he will never allow us to suffer alone. A faithful companion in our suffering can transform what seems unendurable into the greatest gift of love. When we are in a situation with an uncertain outcome, there is nothing like being able to count on a teammate “to have our back.” That is what the wounds of Jesus tell us. At our most desperate, Jesus “has our back.” He will never desert us, he will always be with us. Blessed James Alberione once said, “Every pain confided to Jesus becomes light; if accepted from his hands, it ceases to be a cross.” What in my life have I kept apart from Jesus, not confiding in him? Can I entrust it to him now? How can his touch heal me and transform my struggle to become life-giving? As you ponder your struggles from the new perspective of the pierced heart of Jesus, offer them to the Father with Jesus on the cross. and ask Jesus to transform it into something life-giving for you and for others. Take a few moments to thank the Lord for the gift that your woundedness can become for you and for others. As the death of Jesus brought about his resurrection, when we hide in the wounds of Jesus, we discover that Jesus wants to transform our wounds. What can they then become? We can unite ourselves with Jesus in a special way by praying Eucharistically. In the Eucharist, Jesus reveals his vulnerability by risking abandonment, contempt, and sacrilege to be close to us. Jesus takes this risk because he wants us to come to him in our weakness – when we are discouraged, hopeless, overwhelmed, or grief-stricken. When we take refuge in Christ’s vulnerable Eucharistic presence, we are “hiding in his wounds” in a particular way. In our Eucharistic visits, Jesus invites us to pray for the gift of renewal and transformation, so that his wounds may transform ours into something glorious. We can pray the sorrowful mysteries of the Rosary, asking Mary, who most closely accompanied Jesus in his passion, death, and resurrection, to help us enter more deeply into the paschal mystery, so that our sufferings may be transformed into opportunities for grace. 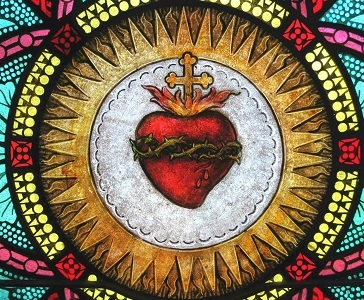 As a closing prayer, you may wish to pray the full Litany to the Sacred Heart of Jesus (found in many prayer books or online). Suggested closing hymn: “Stabat Mater” (“At the Cross Her Station Keeping”), attributed to Jacopone da Todi, translated by Edward Caswall. Heart of Jesus, salvation of those who hope in you, have mercy on us.